PRIVATE DOCK!!! WALK TO THE WATER!!! Lake Travis has the clearest water in Texas, regattas, boating, jet skiing, scuba diving, Christmas boat parade, and fishing. Impounded in 1942. Lake Travis is 18,930 acres. Located north of Austin, off State Hwy 71. Runs about 40 miles through the hills of Central Texas. 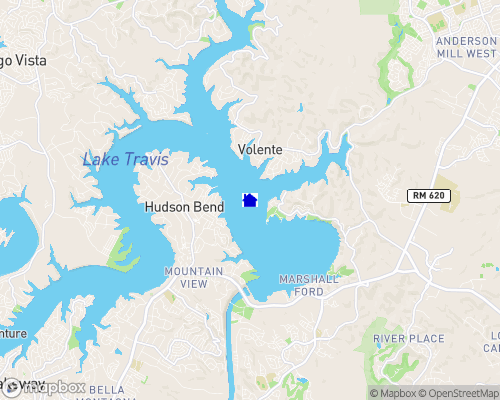 Lake Travis has a average annual temp. of 68 degrees, and a max. temp of 96 degrees, with 300 average days of sunshine. The lake has 270 miles of shoreline, is 65 miles in length with a max. of 4.5 miles in width.